Wishing everyone a very Happy New Year! Let us leave any negativity from 2017 behind and welcome a fresh start for 2018 with hope and positivity. Let us all learn from the trials and tribulations from the past year and avoid repeating negative thoughts and behaviors. Continue spreading love and hope with wholesome deeds for the new year ahead. There are many things I’d like to share with everyone about what IBS in USA has accomplished in 2017. I would like to thank everyone who has been an integral part of each and every event that we have done. 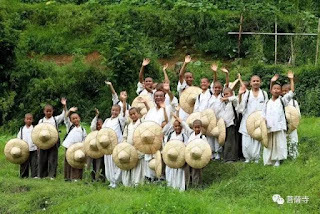 Many thanks to everyone who has supported us to buy land for our IBS Sramanera School in Nepal. This is not only important for IBS but also the future of many students and Dharma teachers. There are currently 20 novice monks that are learning and practicing together. Ever since we started this school, we have been using the rented house for residence, classrooms and training centers for students. It is our hope that we will be able to build a home and training center for them in the near future. 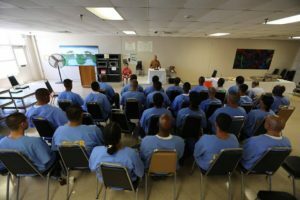 I would also like to share that our IBS Prison Program has extended to 32 prisons in the state of California. I still remember 10 years ago when I first came to the United States we only had two prisons to visit every month. Gradually over time, we asked our dharma brothers to set up groups whenever they were transferred to other institutions. We asked them to send us information on how to start a new program in their new prison. That is how we extended our program gradually. There are a total of 36 state prisons in California. It is our hope that we can cover all these prisons by the end of 2018. Prison is not a place that anyone would envision as a good place to be or even visit. However, IBS chose this place to help the lost souls who are searching for hope, light, and encouragement in their lives. We are thankful to all those who have generously supported our cause over the years. 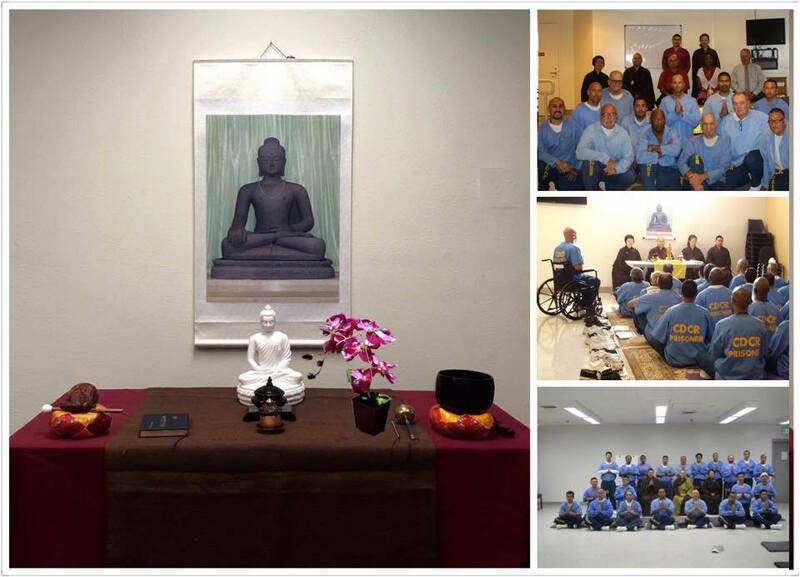 This program is growing rapidly and running smoothly because of all the compassionate people in the world. Our Prison Program is very important not only for the incarcerated brothers and sisters but also for society overall. We as taxpayers are paying for their incarceration. If we can help them to be released earlier, that money could be better spent on good causes such as schools and hospitals. Secondly, our program can help them to change their negative way of viewing the world and become a better person in the process. That is very important because upon their release they will be reintegrated into society. It is our hope that they can show the future generations who might be going down the wrong path that there is always a better solution than living a life of crime. Lastly, I’d like to share that our IBS Homeless Program has helped many unfortunate people in 2017 who have been living on the streets. There were 8 cities where we got to pass out food, clothes, and water to our homeless brothers and sisters. These locations were in San Diego, Santa Ana, Los Angles, Fresno, San Jose, Stockton, Merced, and Sacramento. IBS had also arranged overseas charitable donations for the homeless. We have not only offered meals to the monks in the Monasteries in Nepal, India, and Bhutan but also gotten to help the orphanage, disabled children and many people on the street in many different cities in different countries. There are currently 9 monasteries where we are offering meals in Nepal, India, and Bhutan. 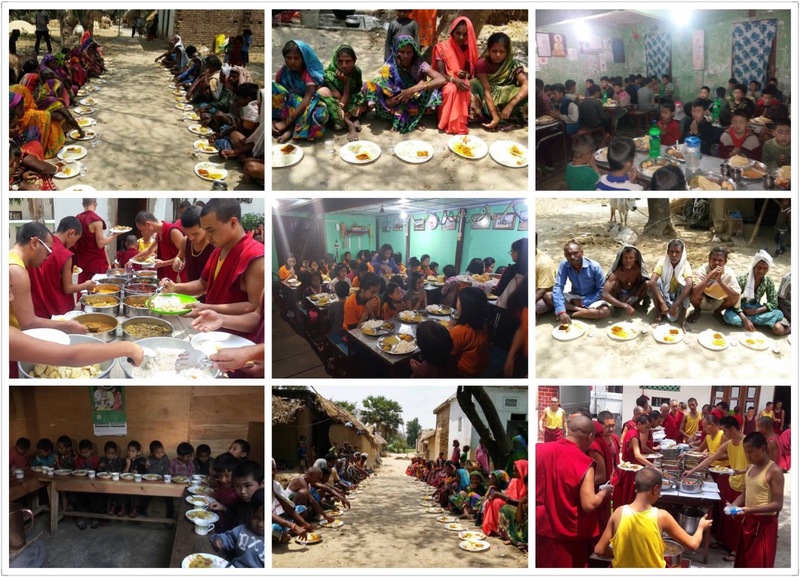 There are 3 orphanage schools where we have been offering special meals by the request of devotees who want to celebrate their birthdays with meal offerings and many brothers and sisters on the streets of India, Nepal and Shi Lanka.